Gin Thing drink recipe made with Gin,Lime juice,. How to make a Gin Thing with all the instructions and ingredients. Pour into highball glass and fill with ginger ale. The Fear And Loathing View This Recipe! Thing For Sara View This Recipe! 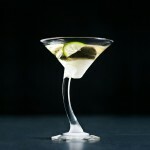 Marlowe Gimlet View This Recipe! The Horny Derrek View This Recipe!